Subject: Urgent – New virusEmail forward written in Spanish warns that clicking links in messages about the death of Fidel Castro can download a virus. It also warns that opening an email attachment with the name 'El Autentico Pez Polla' can launch a virus that can destroy the hard drive on the infected computer. Be very careful with an email that started last night, about the death of Fidel Castro, where it says it will show pictures and videos…. Taking advantage of our morbid human nature it will invite you to open a link with the advertisement of two important news agencies… Don't do it! If you do, a virus disguised as a legal antivirus will be downloaded, it was just announced. Please send this email to your friends, family, contacts. In the next days you have to pay attention: do not open an email with an attachment called "The authentic chick fish", no matter who is sending it. This is a virus that will open a port in windows that will "eat" all your C hard drive in your computer. This virus will come from a person you know and you were in this person's contact list. That's why you have to resend this email to all of your contacts. It's better to receive this email 25 times than to receive the virus and open it. If you receive the email called "The authentic chick fish", even if a friend sent it, don't open it and turn off your computer immediately. It's the worst virus announced by the CNN. A new virus has been discovered recently, that has been classified by Microsoft as the most destructive virus ever. This virus was discovered yesterday by McAfee. And they don't know yet how to fight it. 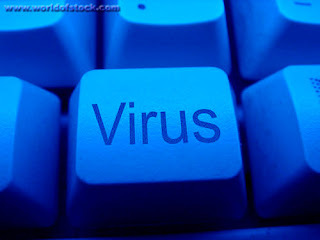 This virus simply destroy the Sector Zero of the Hard Drive, where the crucial information is saved. SEND THIS EMAIL TO WHOM TO KNOW, COPY THIS TO A NEW EMAIL AND SEND IT TO ALL YOUR FRIENDS. REMEMBER: IF YOU SEND IT TO THEM, ALL OF US WILL BENEFIT.